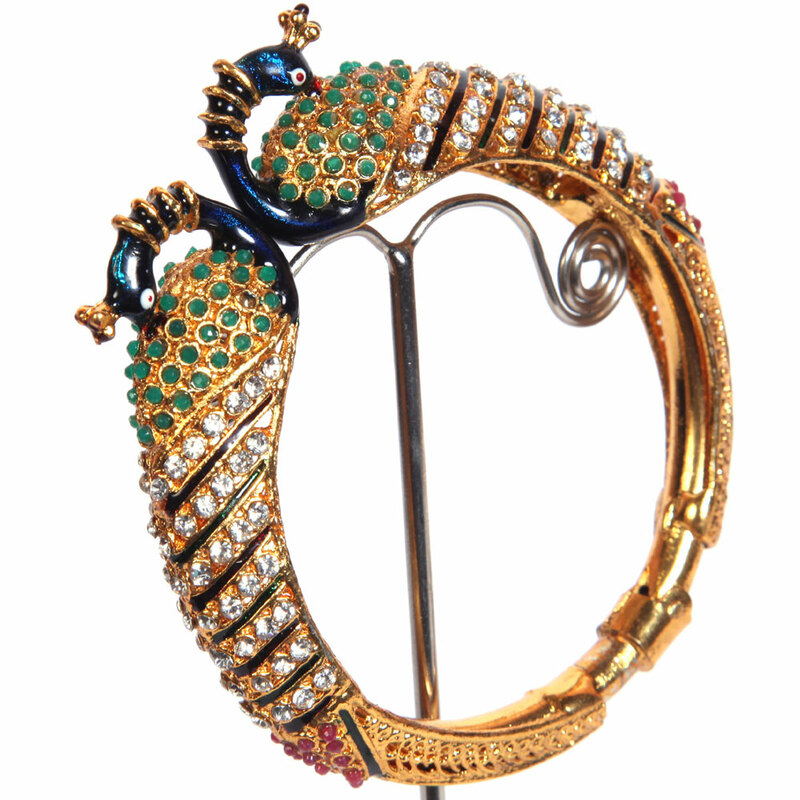 Starting right from the blue peacock heads to the last red stone that decorates the tail of the peacocks, each facet of this designer bangle excludes sophistication and style. Starting right from the royal blue peacock heads to the last red stone that decorates the tail of the peacocks, every aspect of this designer Read More..bangle excludes sophistication and grace. The base metal of brass which has been covered by a thin layer of micro gold further enhances its beauty. Show Less..